Well owners of this home are a little more creative and like to push the boundaries when it comes to design. 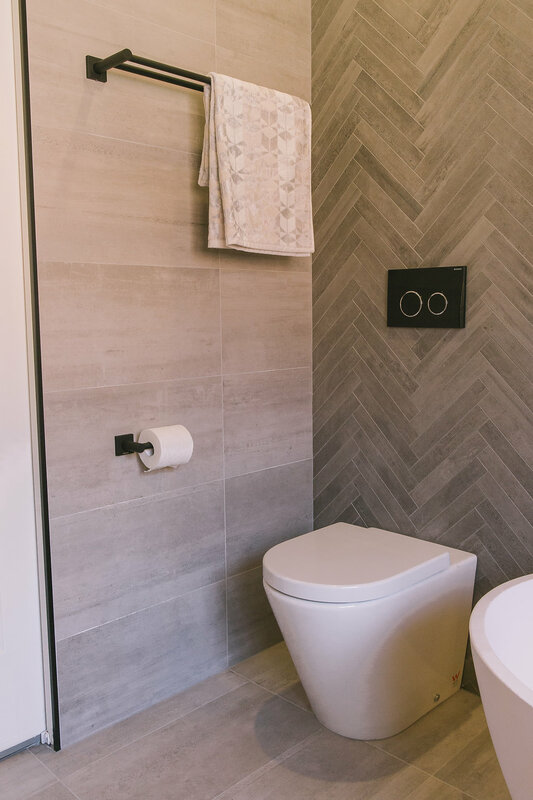 Having recently transformed their ensuite with ACT Renovations, they were keen to get this high-end reno team back out to see what they could do with the main bathroom. And the result? 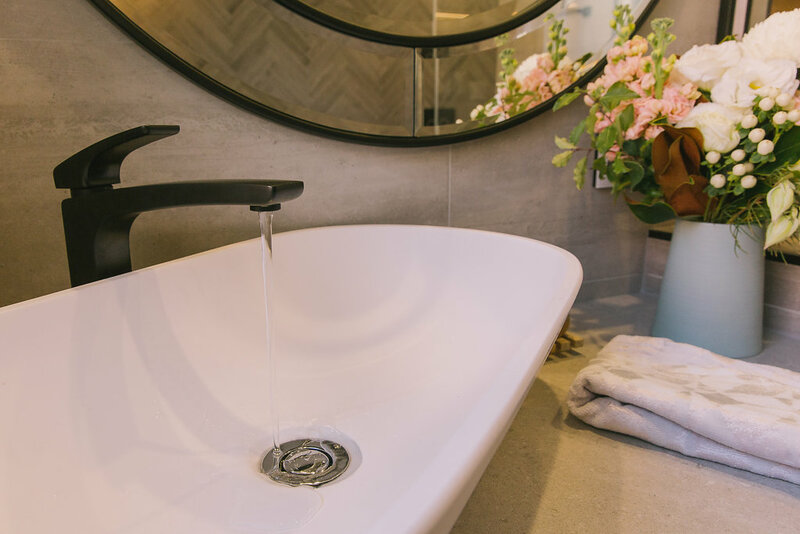 A bathroom retreat that’s loaded with bespoke features and design details! Tell us about this renovation and the challenges in this space. 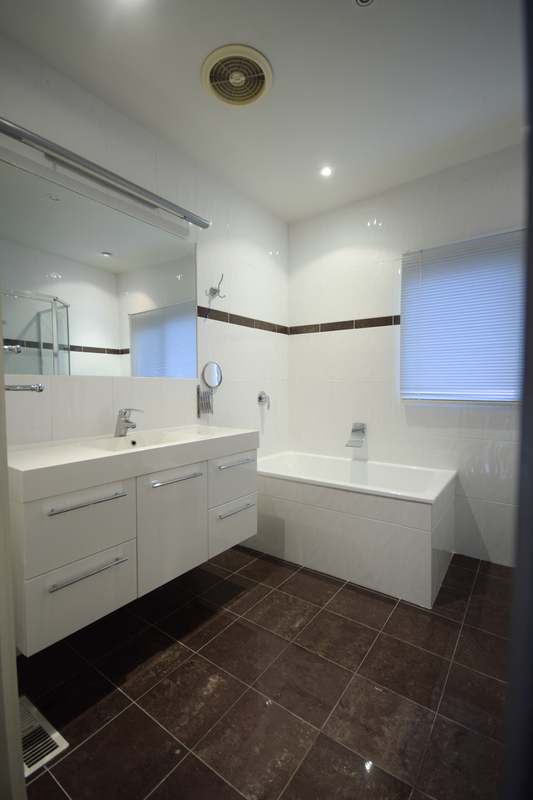 “Our client had ideas and a vision for how they wanted this bathroom to look, and we were excited to get on board and make them happen,” says Craig, owner of ACT Renovations. 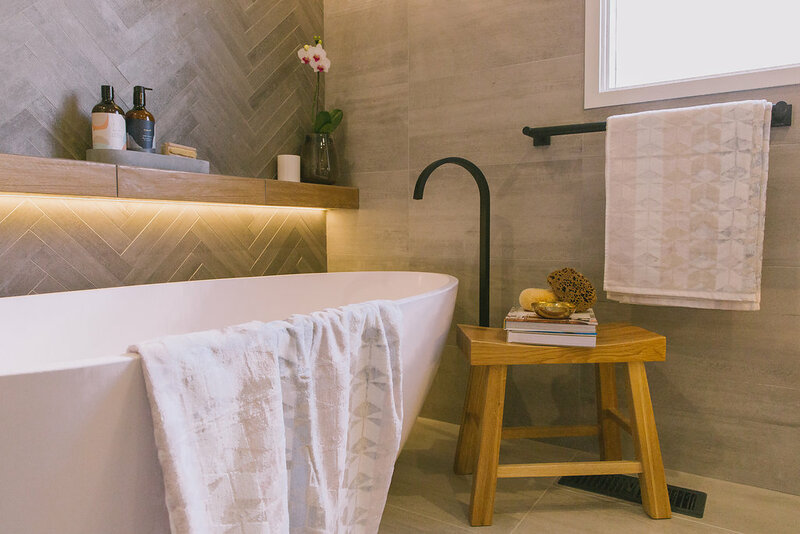 “A freestanding bathtub, custom-made fixtures like pendant lights from The Lighting Collective, and a more luxurious feel were high on the wish list. “Space was the biggest challenge in here and we needed to be clever about how we used it. “To fit a bath in this space without it feeling cramped, we suggested flipping the layout around. You need less space for a toilet than for a vanity so we moved the toilet to be closer to the door and were able to fit a generous 925cm custom-made vanity in its place. You mentioned that your client was happy to push the boundaries, what are some of the things they’ve done in here? 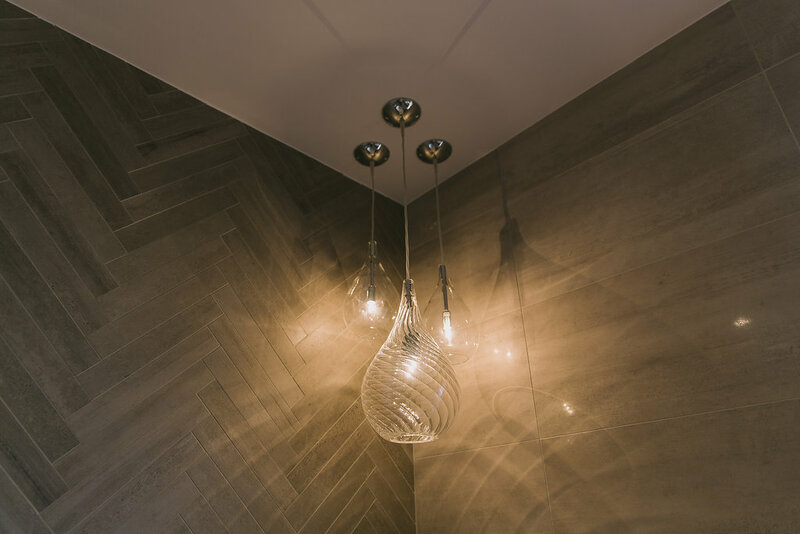 “I suggested using a combination of tiles — a herringbone feature wall, stone-look tile for the floor and other walls, and a timber accent tile on the floating shelf and wall niche. 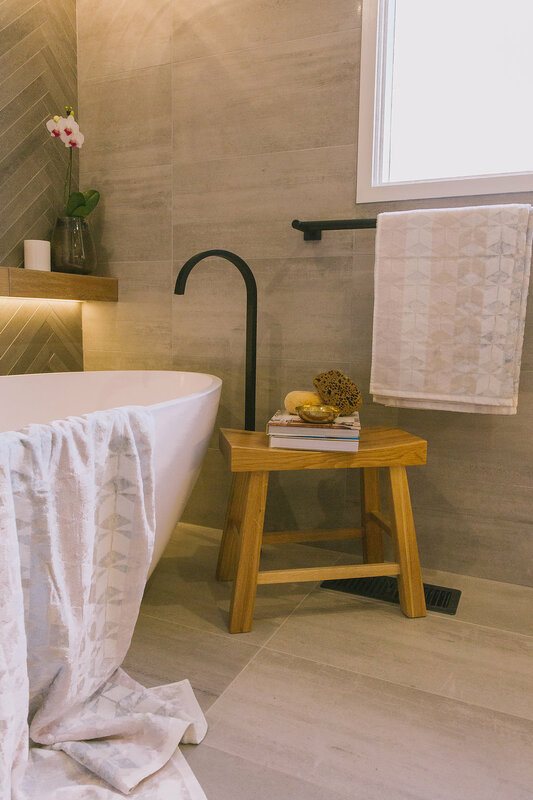 Most people would shy away from this daring tile combination but when I took them to Tile Republic to make their tile selections and they could see how the tiles looked paired together, they loved it. “The floating shelf is also something you don’t see often but its wall-hung design and mitered finish brings added luxury (and practicality) to the space. 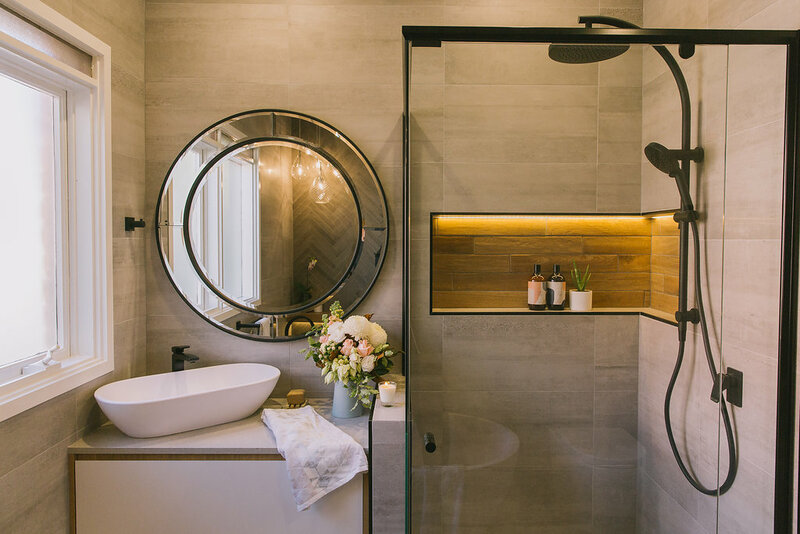 You can never have too much storage in a bathroom and a shelf like this allows you to rest artwork, display towels and other bathroom décor. 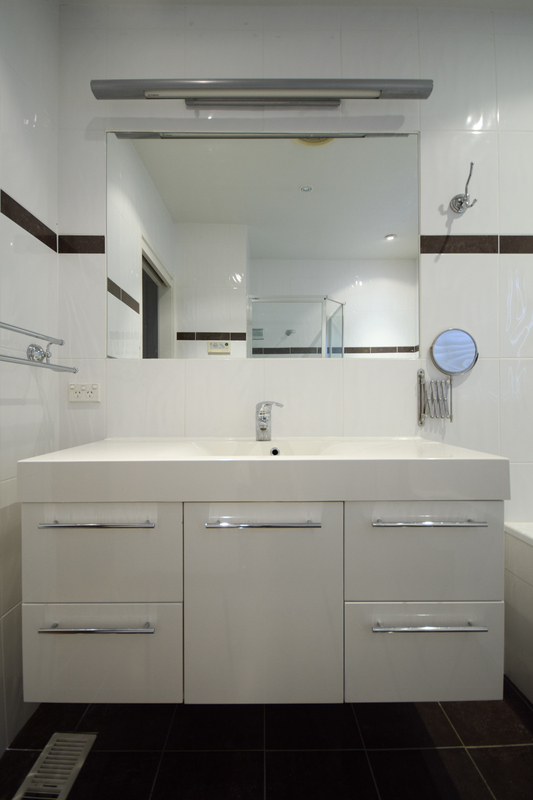 What are some of your top bathroom renovation tips? 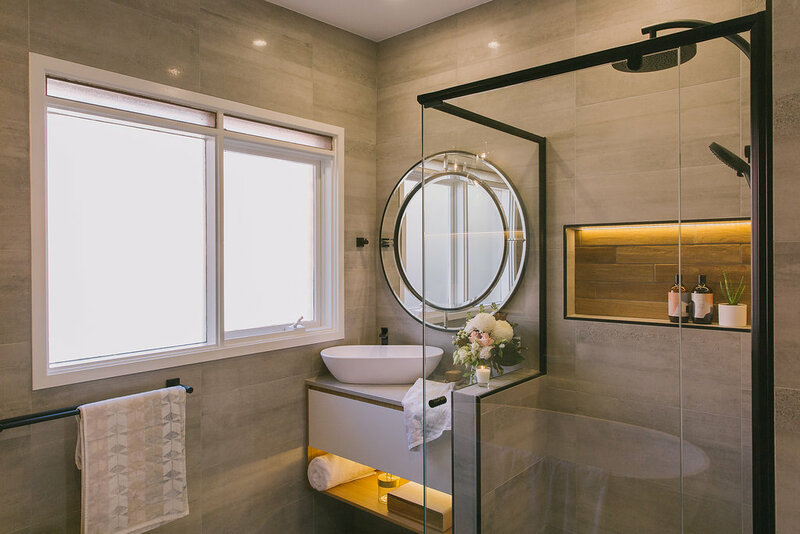 “Right now, it’s increasingly popular to use the same tile on the floor and walls — it creates a luxe hotel look so don’t think you need to pick a floor tile and a wall tile. 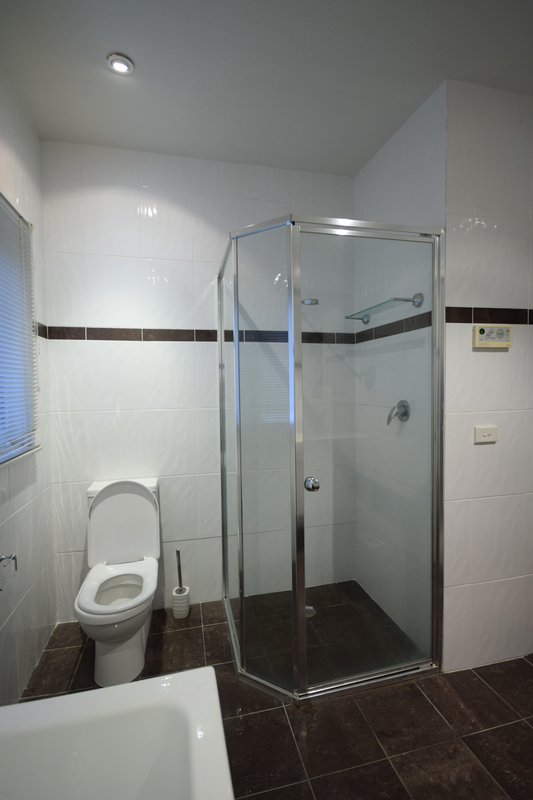 But as you can see in this bathroom, accent tiles also look great and can make a space pop. “Space is probably your most precious commodity so really look at the space you have, where you might be able to maximise more, or play around with layouts. You can never spend too much time planning and designing because once work starts, it’s costly to change. “Shop around. Once you know the look you want to achieve, it’s worth your time to scope out stores so you can compare price and quality. Some items in this space are at the higher end, for example all of the bathware is from Bathroom Warehouse and sits at the mid-to-upper end of the price bracket but you get what you pay for and you can feel the quality of these pieces. That being said, the tiles in here are from Tile Republic and similar tiles from a different store could easily cost $1500-$3000 more. 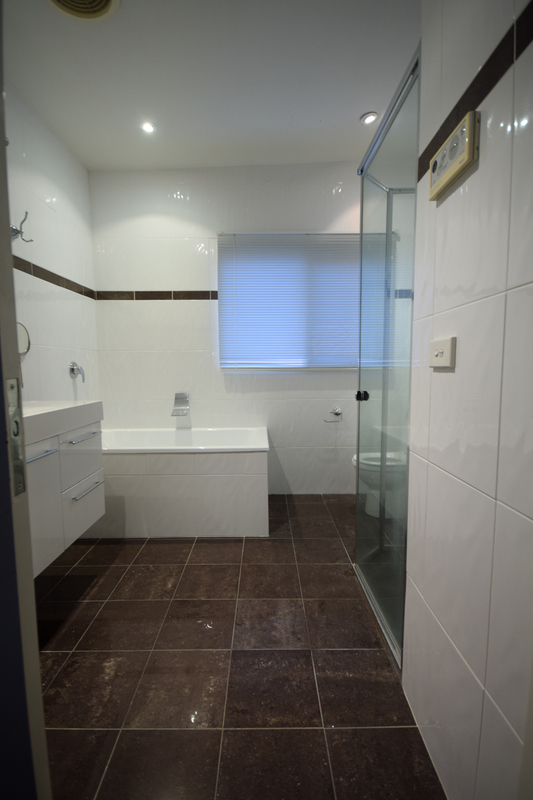 Thanks Craig for sharing this stunning bathroom before and after with us! 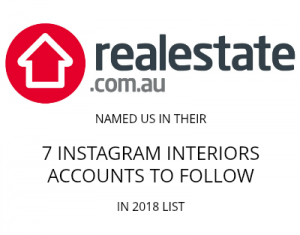 If you’re based in the ACT region and looking to renovate your home, Craig’s team offer full-home renovations and you can find out more on their website here. Styling by us, Style Curator. Photography by Thorson Photography. Wonderful work ! The bathroom is beautiful with this colors, congratulations. Oh wow, this is so beautiful! I especially love the herringbone tile wall and the matte black details!